A poll of more than 7,000 of citizens living in the EU’s 5 biggest states found that the majority of people oppose the use of glyphosate – 75% of Italians, 70% of Germans, 60% of French, and 56%t of Britons. 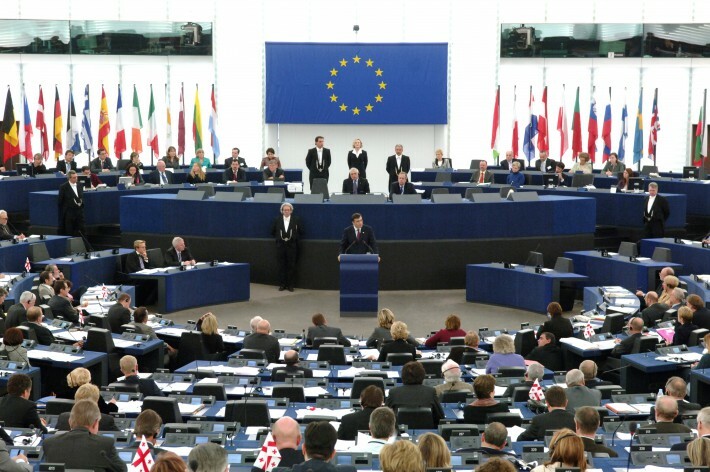 Earlier this year, the EU’s Committee on Environment, Food, Safety, & Public Health (ENVI) formally objected to the re-authorization of glyphosate by the European Commission. Glyphosate is a controversial and often confusing topic in every area of the world where the toxic herbicide touches crops. In March 2015, the World Health Organization’s (WHO) International Agency for Research on Cancer (IARC) classified glyphosate as “probably carcinogenic to humans.” The European Food Safety Authority (EFSA), however, said in November 2015 that glyphosate probably isn’t carcinogenic, proposing a higher exposure limit on the daily amount of glyphosate residue. The commission says that if the renewal of the license is rejected, then it “will not bring the reauthorization of glyphosate to a conclusion.” The current license for glyphosate is set to expire in June. Glyphosate has been detected in humans and our immediate environment and in several studies. 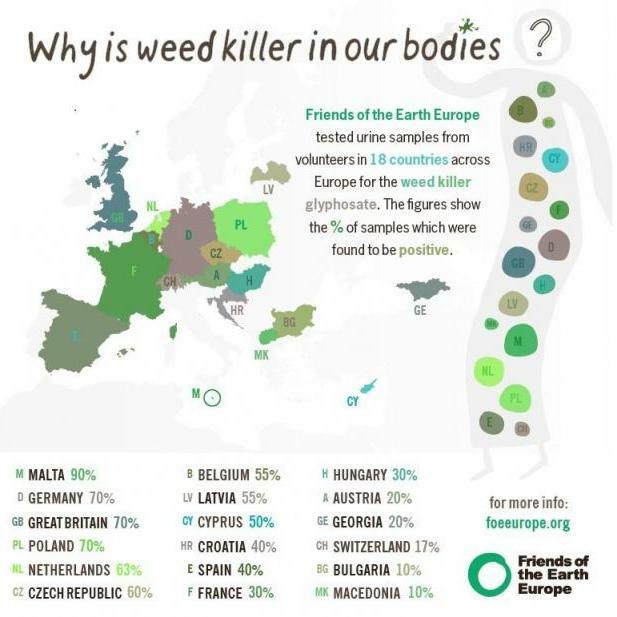 In 2013, a Friends of the Earth Europe study found that people in 18 European countries have traces of glyphosate in their urine. A German study released this past February revealed 14 of the most popular brands of German beer tested positive for the chemical. That research was the inspiration behind the MEP’s urine testing. A recent study also found glyphosate in 100% of 14 California wines. Source: Times of Malta. Click for source data. “A major qualitative difference between the effect of glyphosate and glyphosate formulations on aquatic and terrestrial organisms concerns the surfactant used in Roundup. The surfactant is much more toxic than glyphosate to aquatic organisms. Unlike glyphosate, the surfactant is more toxic in alkaline water than in acidic water. The reliability of test results has been a big issue in the EU, which has only added to the confusion and miscommunication regarding glyphosate’s safety. The co-formulants of the chemical were apparently not tested along with the main ingredient in the EU. The Netherlands wants to postpone the decision to re-license glyphosate until the end of 2017, which would give the European Chemicals Agency time to complete a full study of glyphosate and its surfactants. Of the EU’s 28 states, 11 of them are unlikely to back re-licensing glyphosate. The poll of the EU’s 5 biggest states will no doubt fuel opponents of the Roundup ingredient.